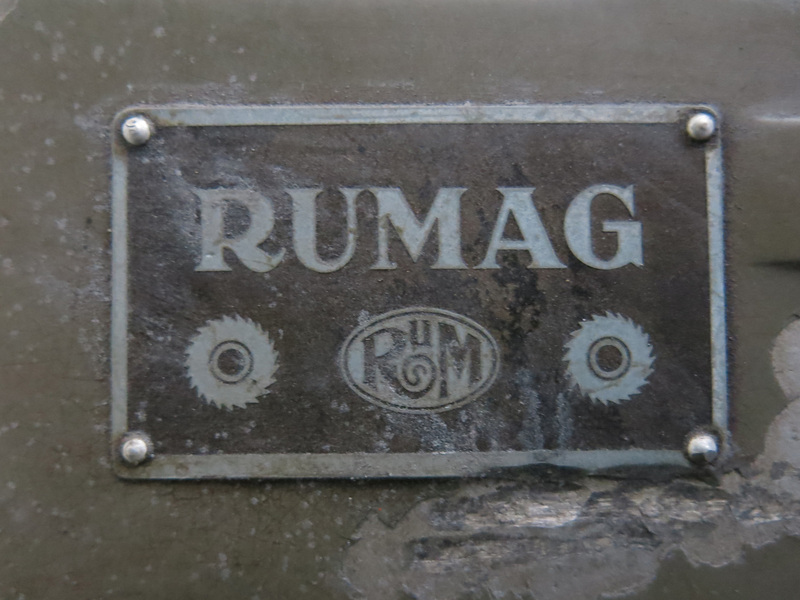 Coolest Tool In the Shop: Rumag REVG-s! There are those moments. Opportunities to take stewardship of classic pieces, to learn, to preserve and maintain. Today was one such day. 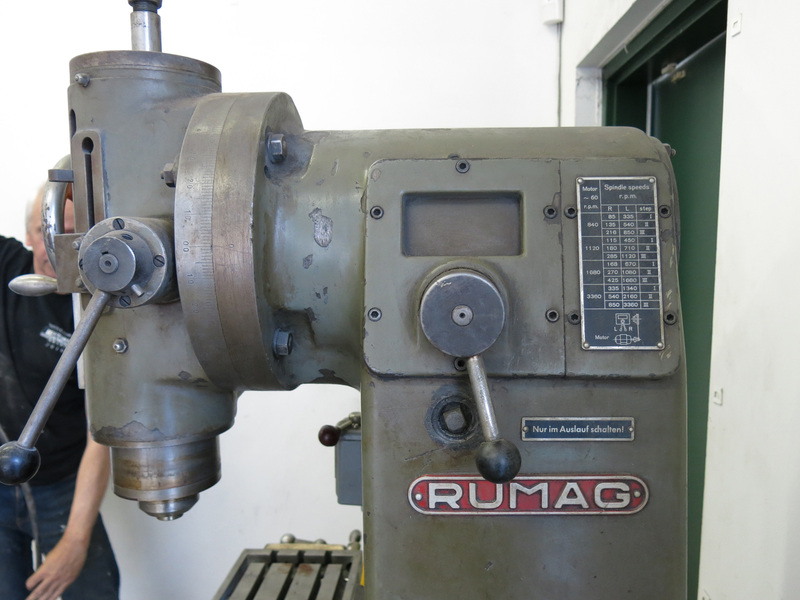 To the best of our ability we brought in a 1953 Rumag REVG-s vertical milling machine that, at least, will become the ultimate drill-press in the shop. 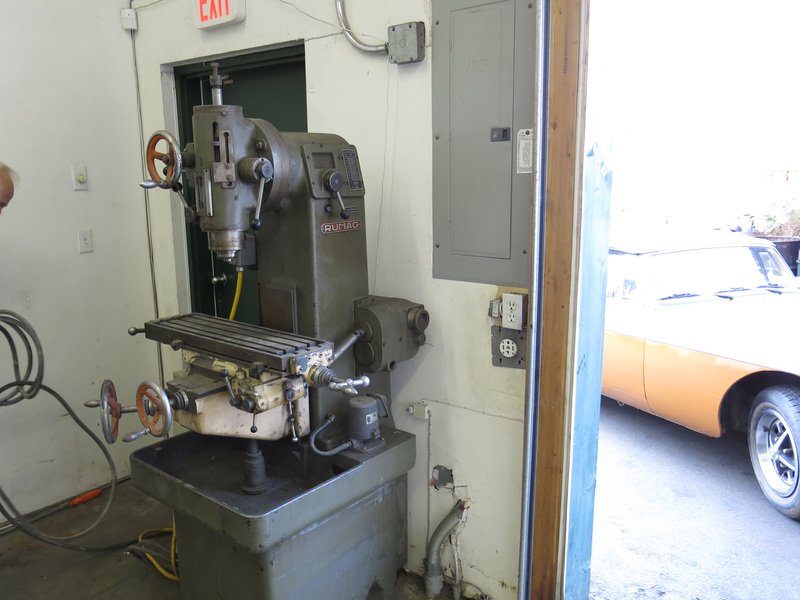 It came from the collection of a great customer and machinist who had purchased it out of Ontario. 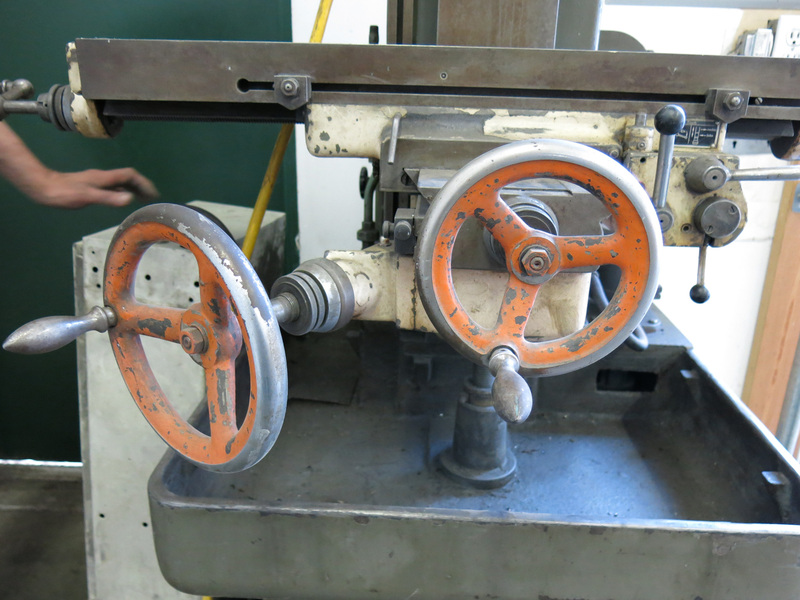 He says that the 4-speed motor and 3360 rpm likely indicated that this was special-order machine to do fine drilling. There’s lots to admire, the German precision, the original fit and finishes, the off-white table, the orange controls. Hopefully through this post we can find someone that might have a manual, probably in German, although the intuitiveness of this design makes it fairly straight forward.